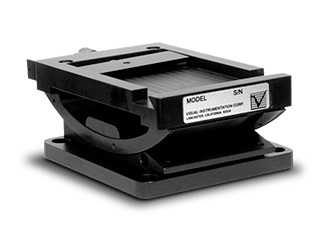 Quick-release camera mounts designed exclusively for high-speed imaging in extreme Hi-g environments. Our family of versatile, quick-release camera mounts have become the industry standard for high-speed imaging in airborne, automotive, field and laboratory applications. Beautifully crafted and precision-built with years of expertise, our camera mounts are indispensable tools for demanding photographers and videographers requiring full control of their cameras and instruments in extreme Hi-g environments. We’ve made significant improvements to the structural integrity of our adjustable camera mounts to meet extremely high vibration g-forces encountered with high-performance, military flight-test aircraft. The cradles & receivers are machined from 2024-T3511 aluminum plate with the cradle slot machined to .625″ for superior strength. 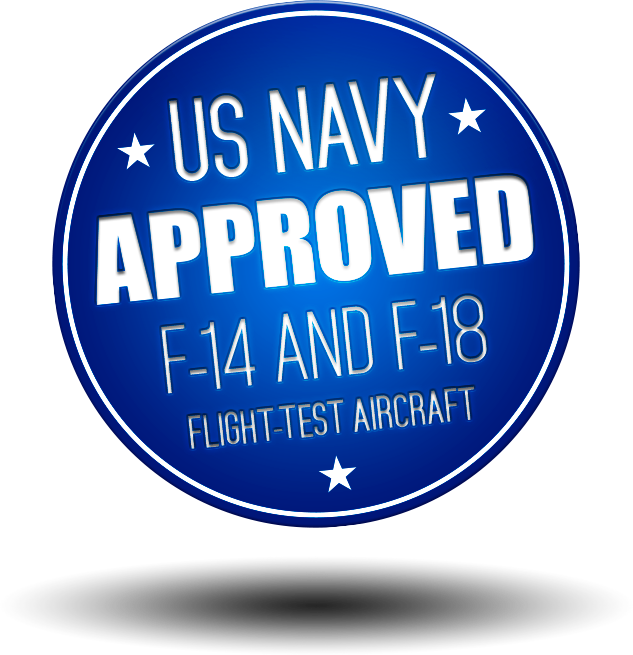 Our dedication to precision crafting & continuous innovation has earned us certification by the United States Navy as the only camera mounts approved for F-14 and F-18 flight-test aircraft. Ready for action. Easily adjust azimuth & elevation. Measuring only 1.8″ tall (at 0° elevation), this beauty can handle payload capacities up to 15 pounds in extreme Hi-g environments and even greater payloads under less severe shooting conditions. Accepts DT-5 & DT-5W mating dovetail plates. Beauty & strength, together. Proudly standing at 2.4″ tall (at 0° elevation), this beast easily handles payload capacities up to 30 pounds in extreme Hi-g environments. 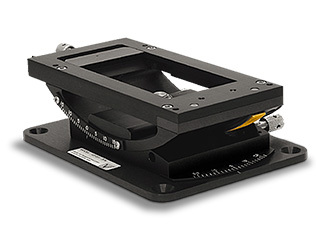 Adjusting azimuth and elevation under pressure is a breeze with this camera mount. 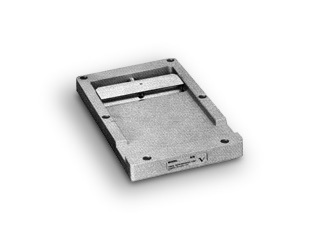 Accepts DT-5, DT-5W and optional DT-5H mating dovetail plates. Rock-solid reliability. 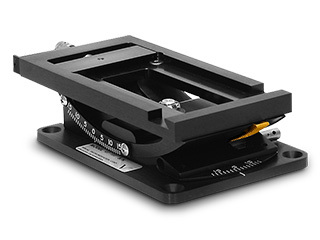 We’re proud of the latest addition to our line of precision camera mounts. You can rely on this compact design to hold lightweight high-speed cameras for shooting in extreme Hi-g shock & vibration environments—all the way to 100 g. Perfect for automotive impact sleds, crash vehicles and related applications. It’s an ideal mount for standard video surveillance cameras, too. Photographers and videographers have full control over azimuth and elevation with the QD-50 in any shooting condition. Accepts DT-25 heavy-duty mating dovetail plate. Shoot with confidence. This beautiful camera mount features a unique, spring-loaded security pin to prevent the locking screw from loosening during extreme shooting conditions. 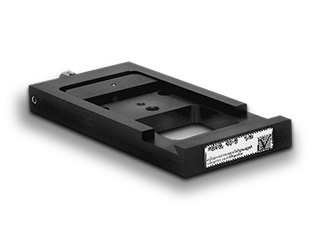 Accepts DT-5 or DT-5W mating dovetail plates. Seriously heavy-duty. The QD-10 is the heavyweight champ of camera mounts trusted by photographers and videographers who need serious support in the most demanding shooting environments. Accepts DT-10 mating dovetail plate. The perfect companions for our precision-built camera mounts.